SIMI VALLEY, Calif., October 4, 2017 – Rapattoni Corporation (Rapattoni) announced today that MetroList® Services, Inc. (MetroList) and the High Desert Association of REALTORS® (HDAOR) are the first two MLSs in the nation to achieve official Real Estate Standards Organization’s (RESO) Data Dictionary v1.6 Platinum certification. MetroList serves more than 19,000 members in Northern California and HDAOR currently serves approximately 2,200 members in San Bernardino County, California. 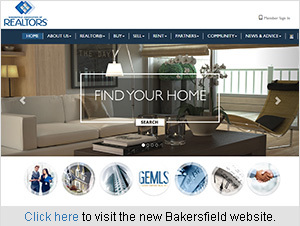 SIMI VALLEY, Calif., July 10, 2017 – Rapattoni Corporation (Rapattoni) announced today that the Bakersfield Association of REALTORS® (Bakersfield), located in Bakersfield, California, has launched a new website using Rapattoni’s Integrated Website Service (IWS). Bakersfield currently serves more than 3,000 members in Kern County and surrounding areas. SIMI VALLEY, Calif., May 11, 2017 – Rapattoni Corporation (Rapattoni) announced today that the High Desert Association of REALTORS® (HDAOR) in Hesperia, California, is among the first two MLSs in the nation to achieve official Real Estate Standards Organization’s (RESO) Data Dictionary v1.5 Platinum certification. HDAOR currently serves approximately 2,200 members and has been a Rapattoni MLS customer since 2001. SIMI VALLEY, Calif., May 10, 2017 – Rapattoni Corporation (Rapattoni) announced today that the Iowa Association of REALTORS® (IAR), located in Clive, has successfully completed an ambitious statewide realignment, implementing mergers and redesigns to combine 13 local Rapattoni MLS systems into four large regional MLS sites. IAR currently serves approximately 6,600 members throughout the state. 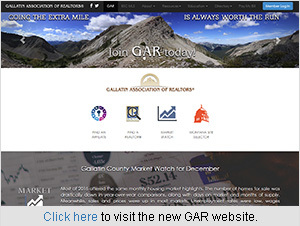 SIMI VALLEY, Calif., February 14, 2017 – Rapattoni Corporation (Rapattoni) announced today that the Gallatin Association of REALTORS® (GAR), located in Bozeman, Montana, has launched a new website using Rapattoni’s Integrated Website Service (IWS). GAR currently serves over 1,000 members in Gallatin County and many surrounding areas in southwest Montana.